REAL-TIME RESULTS: Dewesoft X software shows all validation and visualizes results in real-time during the test itself. Additional math or visualizing can be added later in post-processing if needed. AUTOMATED REPORT GENERATION: Brake test module will automatically generate testing reports from your test runs. 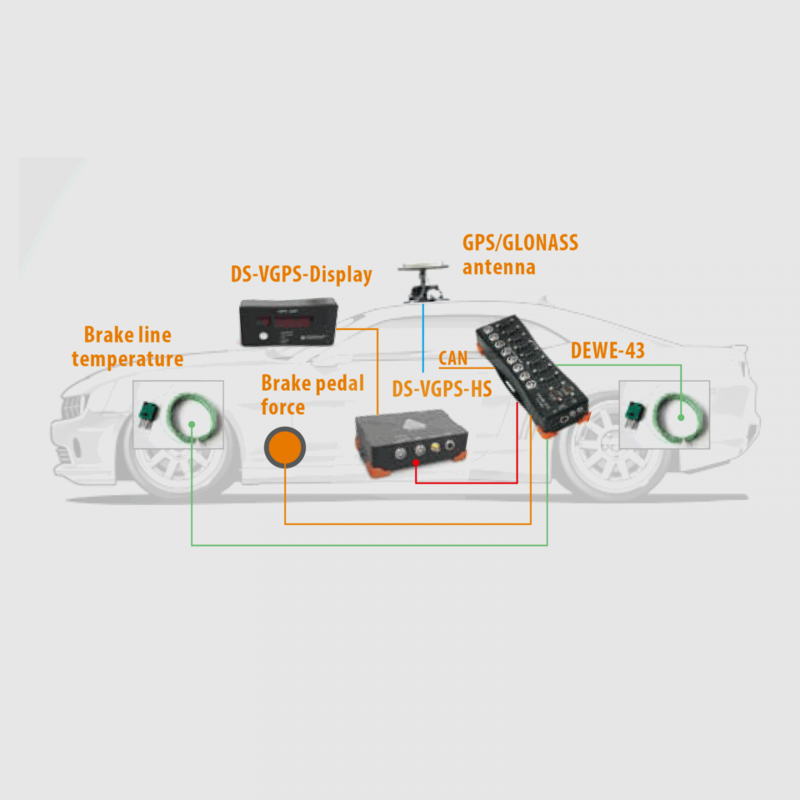 DOWN TO 2 CM POSITION ACCURACY: We offer high-accuracy GPS or IMU (Inertial Measurement Unit) hardware with optional RTK support which offers highest possible velocity and positioning accuracy. BRAKE PEDAL SENSOR: Direct brake pedal force, travel, and pressure sensor inputs are available via analog or CAN interface. BRAKE TEMPERATURE: The Same system can measure and log multiple brake temperatures. SUPPORTED STANDARDS: Brake test system offers brake test according to several international standards like ECE13H, FMVSS 135, etc. The Dewesoft brake test system covers all sorts of braking tests and ABS tests. Due to the high flexibility of the system, it can also cover tests of braking comfort and vehicles with regenerative braking. It is essential that the measurement of braking distances has very high-accuracy because this key-parameter can make the difference between having an accident or not. Dewesoft uses a 100 Hz based GPS system, with correction of IMU, to achieve the highest possible accuracy down to 2 cm. Online checks for validation are available and all the results are visualized online in real-time with additional integrated post-processing math and reporting tools. This makes Dewesoft brake test system a complete all-in-one solution. derivation of acceleration used to check the passenger comfort. 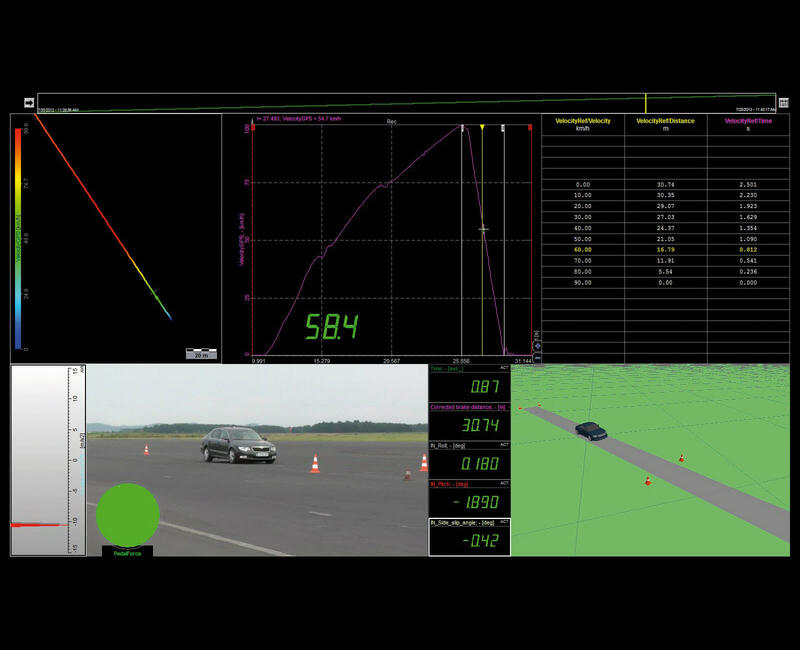 Calculations are performed immediately after brake test is finished. The driver has instant access and visual feedback to the brake test parameters. For custom calculations options visit Dewesoft X analysis page for more detailed information and possibilities. 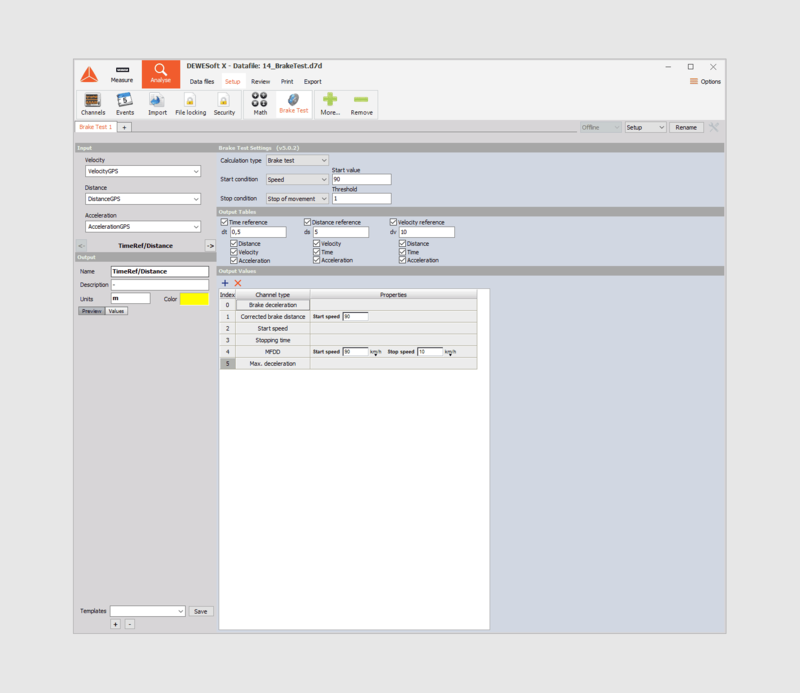 A sequencer is a tool inside Dewesoft X software to define and automate a testing process and workflow in a step by step flow. 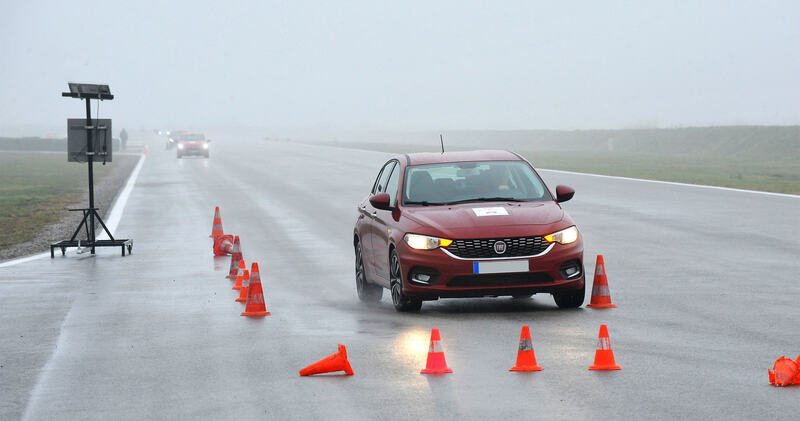 Brake test module comes with a predefined sequence to perform a brake test maneuver according to ECE13H regulation. The sequence can be modified easily to fit it more to the driver and/or test engineers needs.